On 30-31 August 2014 the First family-friendly festival of invention, creativity, technology and DIY in Russia Make it! Show will be held. Make it! Show is the best Russian analogue of the world’s greatest DIY festivals. 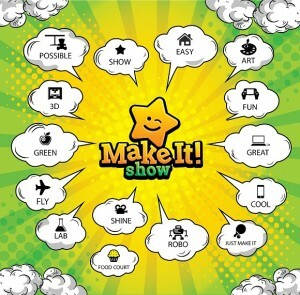 Participation in Make it! Show is a wonderful opportunity to demonstrate creative potential, creativity, ideological commitment, and promote innovation and invention in Russia. The festival will bring together young scientists and developers of bold concepts, creative teams and artists who are interested in finding new ideas, technology development and exchange of scientific and cultural innovations. Surely you have never seen anything like this! Do you have any ideas, desires, thoughts? Then do it, take risks, seek, create, experiment, enjoy the process, develop – just do not stand still! After all, each of us is a creator, everyone can do something special! It is especially true today, when modern technology greatly simplifies our lives and provides tremendous opportunities for creativity. Make your home cozy and functional, your life – exciting, enjoyable and technological – that’s the goal of every “maker”! At Make it! Show everybody will find fascinating things to do, both adults and children, because everyone can invent and create at any age and in any sphere. opportunity to present your invention to general public. opportunity to learn something new. opportunity to find investor to promote your invention or idea. Make it! Show includes active show program on the stage and exhibition floors of the following topics: invention, science, art, do-it-yourself, handmade, 3D, games, robots, sports etc. Come and see the show, performances by Russian and foreign creative teams, meet interesting people, participate in games, master classes, listen to music, compete , and be merry – at the festival Make it! Show you can experience the atmosphere of creative future! The event promises to become the biggest creative show in the CIS. Do-it-yourself – home, life, decor, designer furniture, equipment “to make things” – small construction machinery. 3D – printers, scanners, technology. 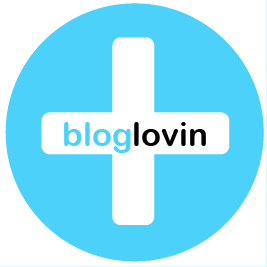 ART – contemporary art, design, fashion- design. FUN – desktop and physical (active) games, slot machines and simulators. JUST Make it – sports area (acrobatics, stunts, dancing, freestyle, sports show). GREEN – alternative energy, recycling of materials, ecology, biology, woodworking. LAB – chemistry, physics, mechanics. SHINE – photos, videos, cinema. Regardless of age, experience and training, the festival is a unique opportunity to find yourself in creativity, art, science, communication with positive people, inventors, engineers and scientists. Different exhibition floors will present amazing designs in science, art and technology, and entertainment areas will make pastime at the festival fun and interactive. Make it! Show is your bright weekend! 3D Print Conference: 3D Technology Brings New Opportunities! Inside 3D Printing Returns to Singapore in January – Get 10% OFF!